Advanced Garage offers custom garage storage systems to the Sacramento area that can transform your space into an organized, clean, and useful space. However, a garage that you will love to use doesn’t just happen overnight. It takes intentional organization and using the right kind of garage storage. In our last blog post, we gave you 4 Tips for Organizing Your Garage. 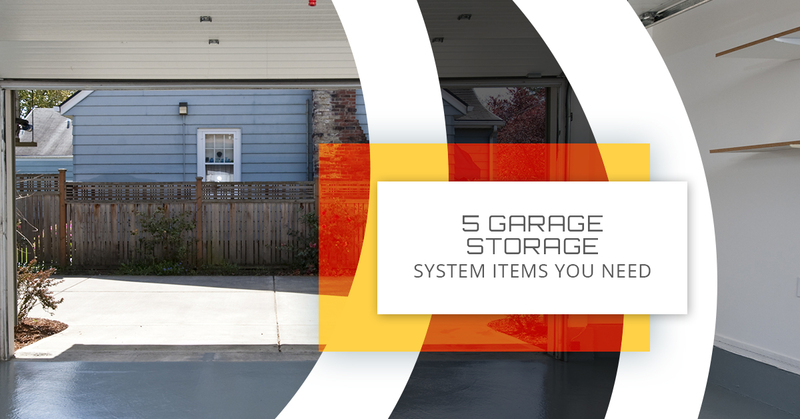 Today, we are going to discuss those garage storage systems that can make organizing your space easy. We know we talked about the benefits of custom garage cabinets in our last blog post. However, we are going to briefly talk about them again, because they are crucial elements for organizing your garage. Cabinets not only protect your tools, camping, gear, and crafting materials from pests, dirt, and dust. They also make staying organized easy. How so? They allow you to find a place for everything. Also, when you use cabinets, your space will always appear neat and organized. Additionally, if you invest in Advanced Garage cabinets, because of their durable construction and materials, our cabinets will look nice for years to come. The space that is the most underutilized is vertical space. Why is this? It could be due to the need for a ladder to access anything that is stored above. Another reason could be because people simply don’t know how to use this space. Whatever the reason, overhead racks are a versatile means for getting those items that you don’t need all of the time, up and off the floor, and ultimately out of the way. You can place the items by themselves on the racks or use plastic bins! Plastic bins can allow for greater organization. However, we will talk more about that below. Plastic bins are not an item offered by Advanced Garage. However, they can often be one more step towards ultimate organization and work seamlessly with our garage storage systems. Bins allow you to group like items with like items, keep dust, pests, and dirt off of your things, and are used effectively with overhead racks. We suggest investing in clear plastic bins and labeling them, so you will avoid wasting time searching through multiple bins, especially if you have to go up and down a ladder. Slatwall not only looks good, but it is also incredibly versatile. Slatwall can be installed on one or more walls and is made up of grooves that can be fitted with hooks and other similar types of items. Slatwall allows you to hang up bikes, gardening equipment and other things and can easily change up your organization. Advanced Garage slatwall is durable and made to withstand use and abuse to look good for years to come. Utilizing all of these garage storage systems can allow you to not only possibly store more in your garage, but store it in a more organized way. If you are interested in learning more about the possibilities for your garage, contact the garage organization experts at Advanced Garage. We have been serving the Sacramento area with custom solutions for over 15 years. Visit our website or our showroom to see our work!